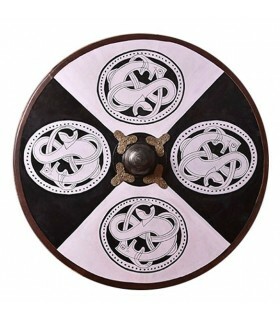 Viking shields There are 18 products. 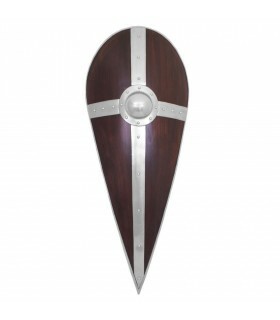 Viking shield plywood of 13 mm. thick-rimmed leather-wrapped and decorated with Nordic horses. It includes wooden handle. 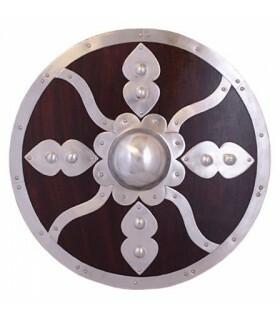 Normando wooden shield with steel decoration. 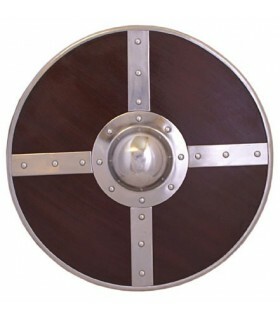 The shield has a cross in steel edged on a varnished wooden base. In the back it has 4 straps to carry it more comfortably. 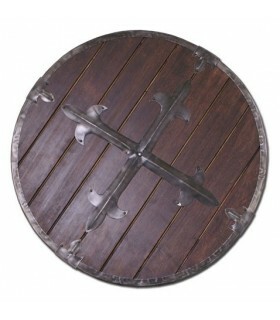 Viking shield made of plywood with a thickness of about 13 mm. approx. 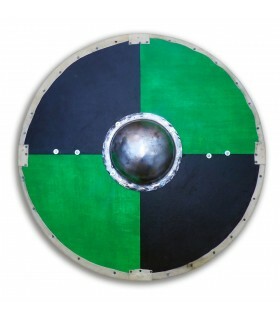 The shield comes painted with 4 Nordic taps. 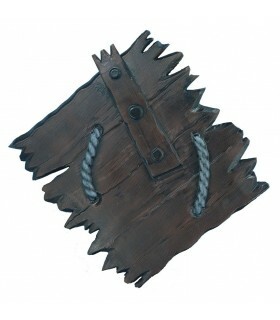 The umbo is made of metal and on the back of the shield comes with a solid wood grip. 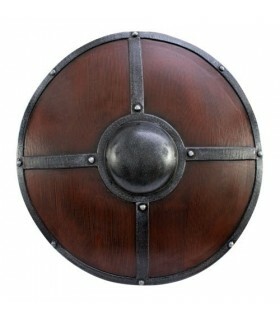 The shield has a circumference of 91.5 cms. approx. Norwegian shield Kite. 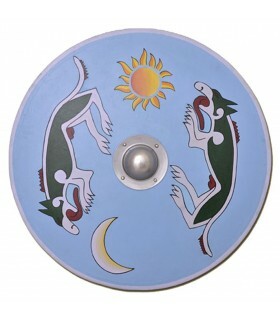 The shield presents a drawing of a Viking animal, probably a griffin. It has three adjustable straps on the back, to be worn on the arm or on the back. It also carries a protection pillow for the arm. 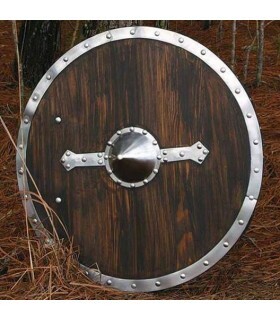 It is quite light, so it is a very good option for lovers of LARP. 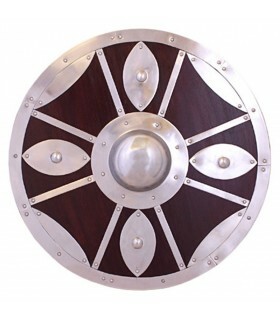 It is a replica of a shield used in the Battle of Hastings in 1066. 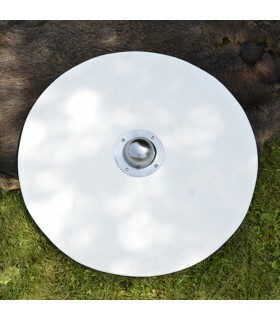 Round Viking shield with motives of Nordic mythology. 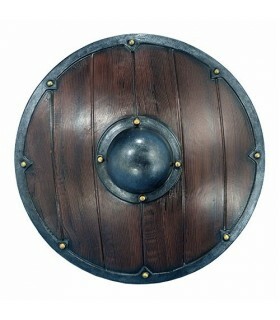 The shield is painted by hand. Diameter: 92 cms. 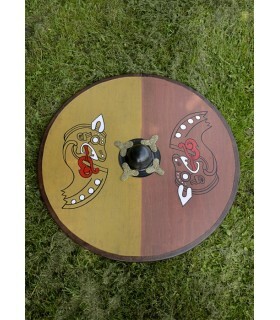 Viking shield to paint. 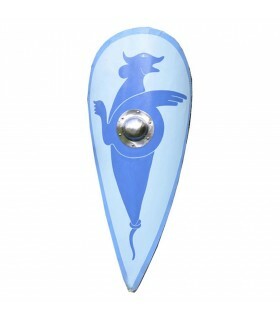 The shield comes in white and ready to paint with the colors of your army. 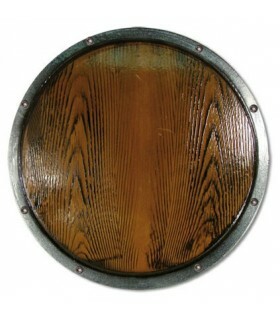 Includes Umbo and screws.Diameter: 92 cms.